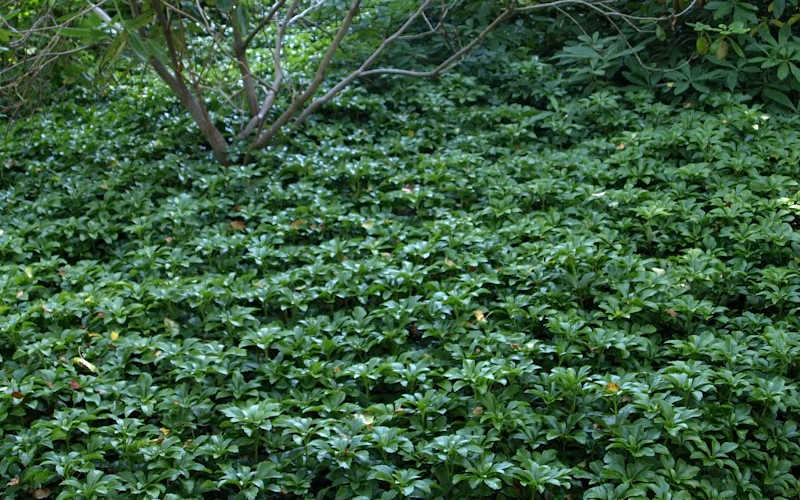 Pachysandra, commonly called Japanese Spurge, is a highly attractive and extremely popular shade-loving evergreen ground cover that spreads quickly by rhizomes to form patches or a solid groundcover. In spring, spikes covered in small, subtly sweet white flowers rise above the dense carpet of rich, dark green foliage. 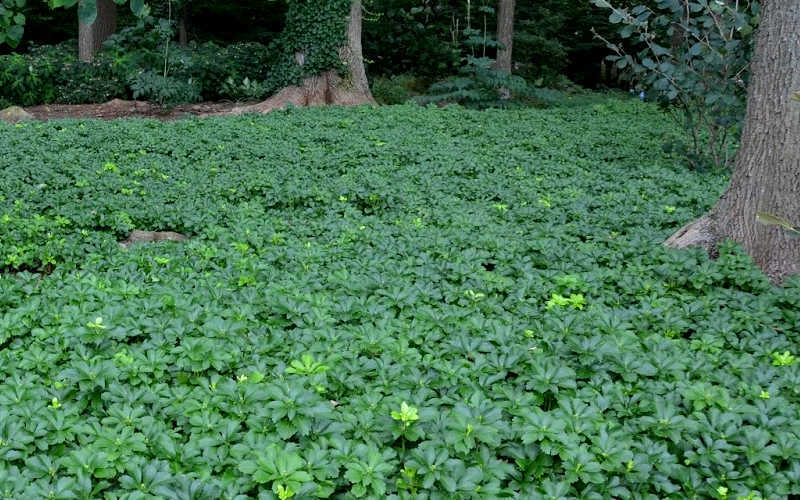 Pachysandra is deer and rabbit resistant, can survive a drought, and we've seen no major problems with pests or disease. 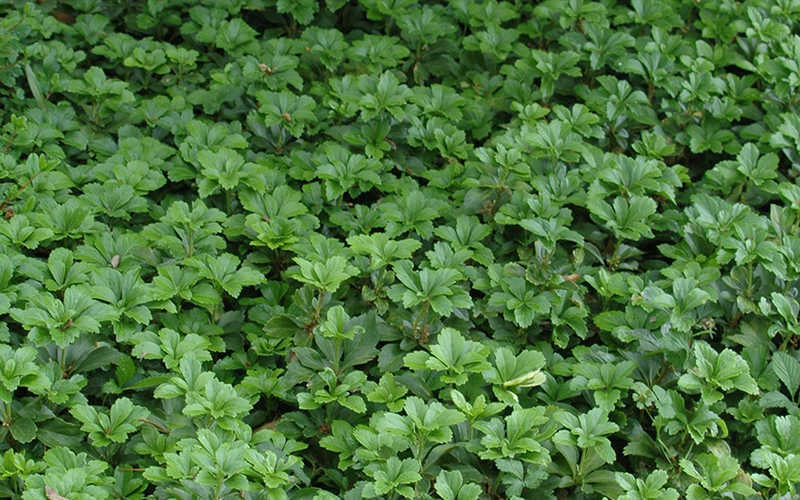 Growing 8 to 12 inches tall and quickly spreading to 24 inches or more, Pachysandra is ideal for use as a large space groundcover. 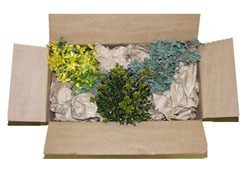 It works perfectly as a mulch substitute under the canopies of large shade trees, where not much else will grow. 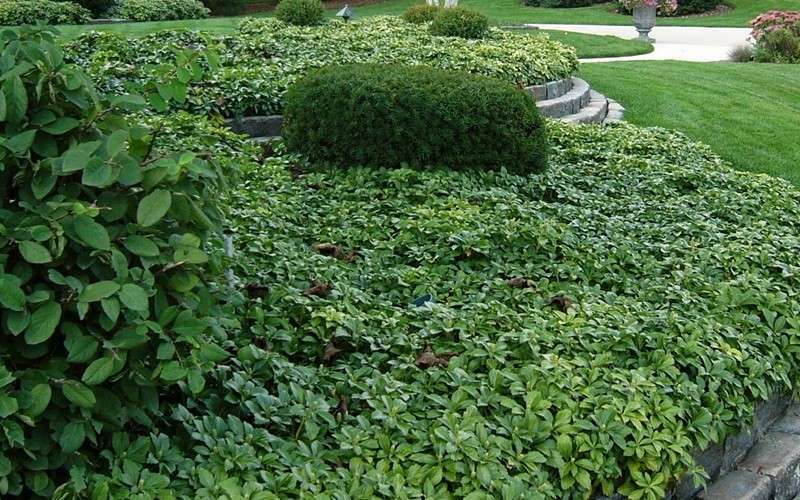 It also serves well to fill in around shrubs and trees in home foundation plantings, as a border along walkways and paths, or massed on shady slopes for erosion control. 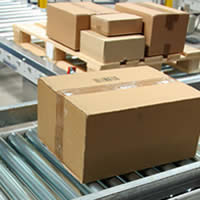 It will not sprawl or trail over walkways or other surfaces. 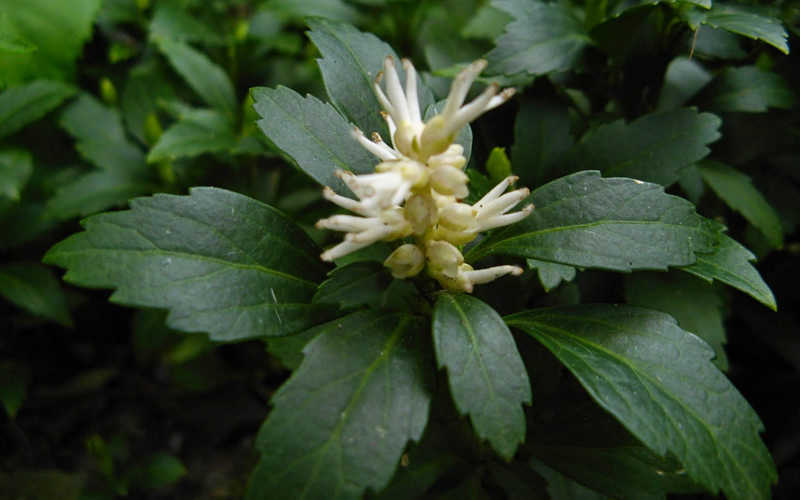 Pachysandra is very easy to grow and very low maintenance when planted in the right environment. 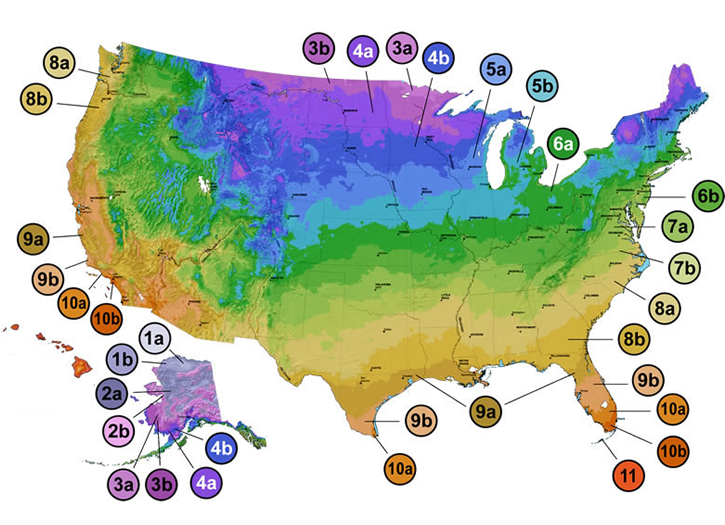 It adapts to many soil types but prefers a moist but well-drained acidic soil rich in organic matter. 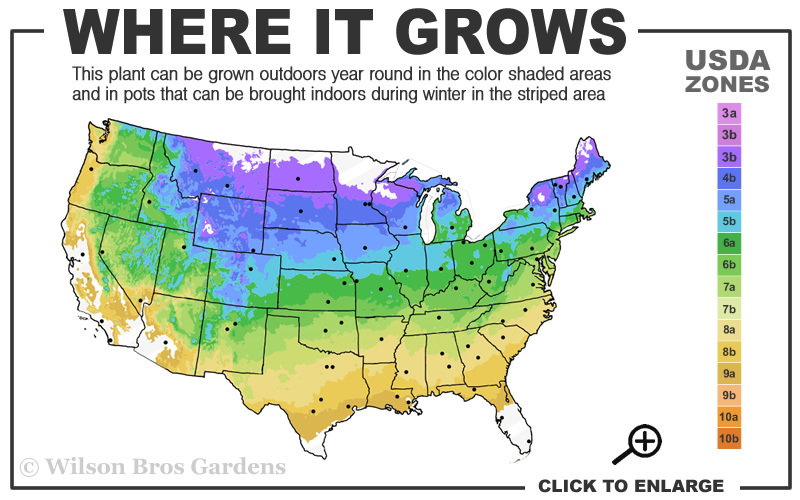 Plants will tolerate periods of dry soil. 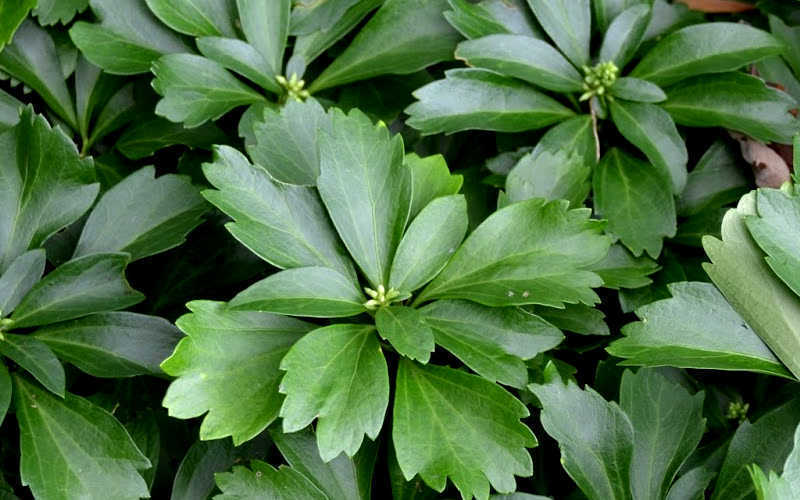 Pachysandra thrives in partial to full shade. Mid-afternoon sun will burn foliage. 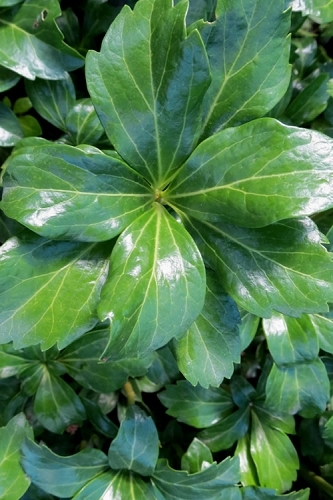 Applications of fertilizer containing iron and/or sulfur will promote deep green foliage. 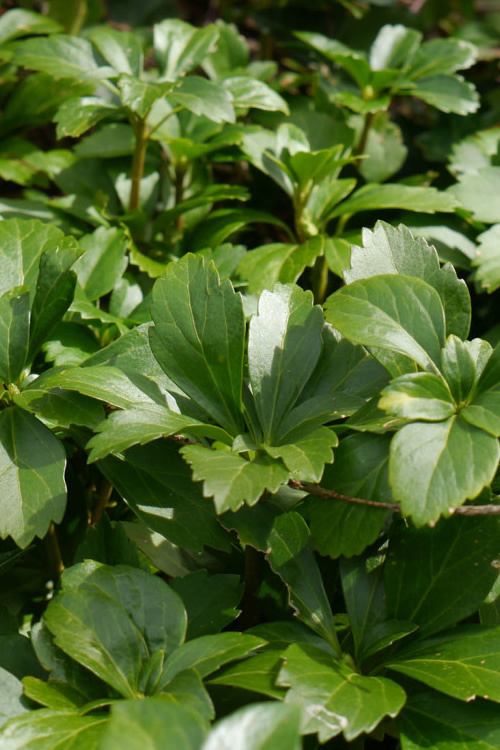 Click on a link below to find helpful advice from our experts for how to plant, prune, fertilize and water Pachysandra plants. 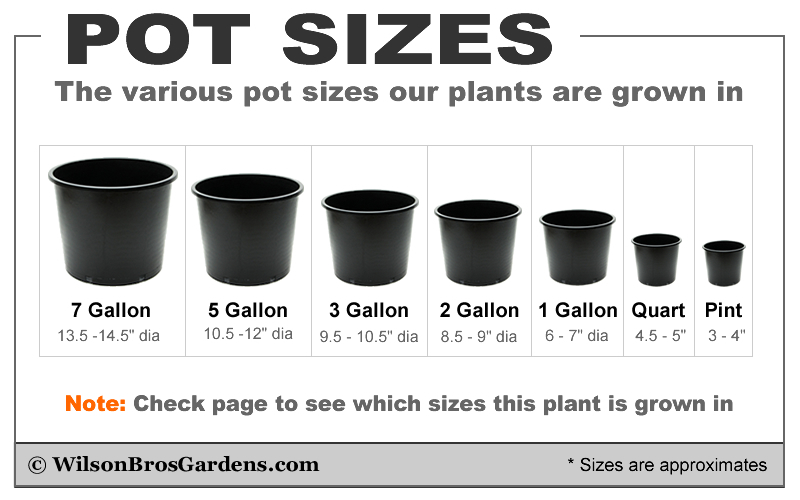 Height or Length at Maturity: 4-6"